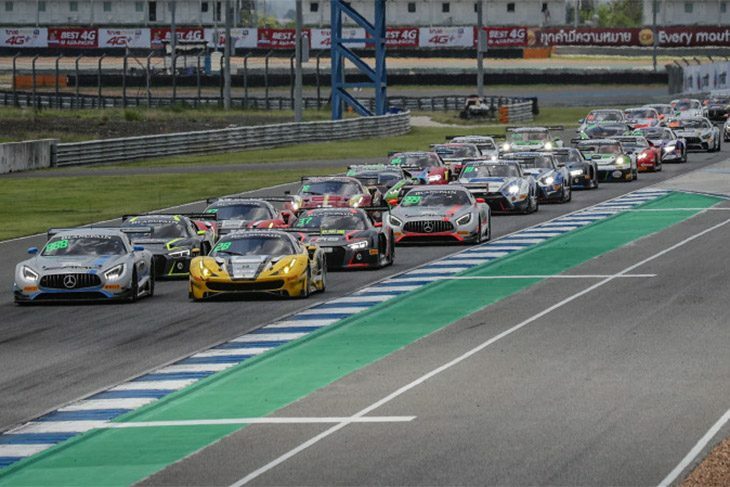 Last weekend’s Blancpain GT Series Asia weekend at Buriram saw GruppeM dominate proceedings, both its Mercedes AMG GT3s taking a win apiece in Thaliand. GruppeM Racing and Mercedes-AMG celebrated Blancpain GT Series Asia GT3 and GT4 victories at Buriram in Thailand on Saturday. Patric Niederhauser and Markus Pommer prevailed in a close battle with HubAuto Corsa and FFF Racing Team by ACM, while Reinhold Renger took the GT4 spoils after seeing off BMW Team Studie’s early challenge. Niederhauser started from pole and, after negotiating a tricky first lap, was able to stretch his advantage to 3.5s before the pitstop window opened with 35 of the race’s 60 minutes remaining. 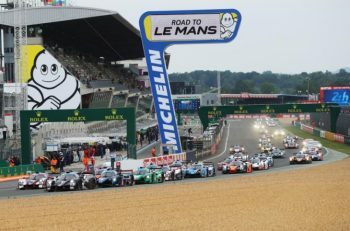 A particularly feisty first lap saw positions change throughout the top-six, but it was FFF Racing Team’s Dennis Lind who benefitted most after he jumped from fifth to second in the shake-up. 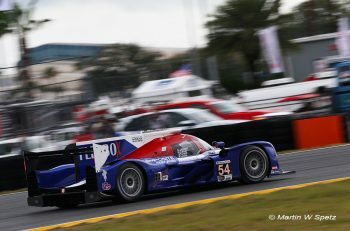 HubAuto Corsa’s Leo Ye Hongli remained a constant threat in third, while KCMG’s Edoardo Liberati enjoyed a storming first stint to run nose-to-tail with second and third by the time the pit window opened. Lind and Liberati’s positions came at the expense of Martin Rump whose attempts to move up from third on lap one actually resulted in the Estonian’s Absolute Racing Audi dropping to sixth at one point, although he was back up to fifth before the stops after passing Aditya Patel’s OD Racing R8 LMS GT3. With none of the front-runners serving additional pitstop success penalties the order remained largely unchanged after the stops, albeit with Lind’s co-driver Martin Kodric now much closer to Pommer, who’d relieved Niederhauser aboard #999. The Lamborghini looked like the faster package and when the leading Mercedes-AMG was blocked by GT4 traffic, his Croatian pursuer pounced. However, the moment was short-lived after Race Control handed the FFF Racing Lamborghini a one-second stop/go penalty for being under its minimum pitstop time. That should have given Pommer a straightforward run to the chequered flag, but that was without factoring in Ye’s co-driver Nick Foster who, after reducing his arrears by half-a-second per lap post-pitstops, spent the final 10 minutes tucked up behind the leader without ever finding a place to pass. 1.4s covered them at the finish. Third went to Absolute Racing’s Rump and Franky Cheng who profited from running a longer first stint and under-cutting their rivals, as well as Kodric/Lind’s penalty. At least FFF Racing could celebrate winning the Pro/Am class. Hiroshi Hamaguchi started 11th overall but pitted in seventh after enjoying a good scrap with fellow Bronze-graded drivers Juwon Seo and Anthony Liu. The five-second success penalty he and co-driver Marco Mapelli incurred for finishing third at Sepang didn’t slow their progress after the stops, either, with the Italian holding off a recovering Kodric over the final laps to claim fourth overall. Yuke Taniguchi and Tsugio Matsuda completed the top-six after picking up 10 places over the course of the hour-long race. Taniguchi started 16th but was running 11th when Matsuda climbed aboard and continued the KCMG Nissan’s charge through the field. Mitch Gilbert and Patel’s OD Racing Audi and KCMG’s second Nissan driven by Liberati and Florian Strauss finished seventh and eighth after both lost ground during the second stint, while Andrew Kim and Adderly Fong finished four places ahead of where their Absolute Audi started. Team-mates Liu and Josh Burdon completed the top-10 after serving their additional 10s success penalty for finishing second at Sepang. Alexander Mattschull and Maxi Buhk lined up fourth but were prevented from challenging by an early puncture and full 15s success penalty. Nevertheless, the pair still start tomorrow’s race from pole. In the Am class, KCMG’s Takuya Shirasaka and Naoto Takeda maintained their 100% start to the season by beating AMAC Motorsport’s Ben Porter and Andrew Macpherson. And in GT4 meanwhile, GruppeM Racing and BMW Team Studie enjoyed an eye-catching battle for the lead in the opening stint before Reinhold Renger emerged victorious from a race featuring multiple penalties and incidents in his Mercedes AMG GT4. Then on Sunday, GruppeM Racing maintained its near-perfect start to 2018’s Blancpain GT Series Asia campaign completing a sweep of the weekend in the second race. The team’s #888 Mercedes-AMG GT3 driven by Alexander Mattschull and Maxi Buhk led from pole position until the chequered flag at a packed-out Chang International Circuit, which attracted 26,000 fans over the weekend, while Reinhold Renger claimed his second GT4 win in two days. After its #999 entry won yesterday’s race, the #88 GruppeM AMG GT3 maintained the team’s winning ways by leading home FFF Racing Team by ACM’s Dennis Lind and Martin Kodric, while Nissan scored its maiden overall Blancpain GT Series Asia podium thanks to KCMG’s Florian Strauss and Edoardo Liberati. Buhk and fellow front row starter Tim Slade were separated by less than a tenth in qualifying and were also locked in battle for much of the opening stint. Adderly Fong initially jumped up to second but was back down to fifth by the end of lap one, leaving the Mercedes-AMG and HubAuto Corsa Ferrari to break clear together. The German initially gapped his pursuer but by mid-stint Slade was right behind once more. For several laps the pair circulated together, the 488 GT3 ducking and weaving in its attempts to pass before falling back as the pit window approached. GruppeM opted to stop as late as possible in the 10-minute window to give their Pro driver more time to build an advantage over the newly installed Ams behind. Mattschull duly emerged from the stops with a 14s lead, and although that was reduced before the chequered flag, he and Buhk still ran out comfortable winners. Behind, HubAuto Corsa’s Pro/Am-entered Ferrari – now with Morris Chen onboard – slipped back after the pitstops when the Silver Cup crews began their charge. Chief among them was FFF Racing’s Lind whose co-driver Kodric had started and pitted from ninth. Lind’s rapid rise through the Pro/Am entries didn’t quite include Mattschull, who took the chequered flag 3.7s clear. Liberati and Strauss came from even further back to complete the overall podium after the latter was issued with a drive-through penalty in the opening stint for exceeding track limits. He was back up to 15th by the time the pit window opened, before Liberati’s pace – and a number of penalties for others – over the final 30 minutes helped KCMG’s #23 GT-R take third. That came at the expense of the team’s sister car, which lost out in the closing laps. Tsugio Matsuda put yesterday’s qualifying disappointment behind him by moving from eighth to third in the opening stint, after which co-driver Yuke Taniguchi engaged in an entertaining battle with first Hiroshi Hamaguchi and then Liberati. Martin Rump and Franky Cheng were best placed of those serving a pitstop success penalty after the Absolute Racing duo overcome their five-second handicap for finishing third yesterday, while Nick Foster and Leo Ye Hongli completed the top-six despite receiving a drive-through penalty for exceeding track limits. Absolute’s Anthony Liu and Josh Burdon were another crew to serve a penalty en route to seventh. They finished ahead of local hero Sandy Stuvik and Shae Davies in the first of Craft-Bamboo’s Porsches, which started 14th, and Marchy Lee/Alex Yoong’s Phoenix Racing Asia Audi. Hamaguchi and FFF Racing co-driver Marco Mapelli looked on course for a remarkable result before a short pitstop and subsequent stop/go penalty consigned them to 10th. The Italian started 19th but, incredibly, was up to sixth by the time the pit window opened after 25 minutes. The short pitstop allowed Hamaguchi to emerge third, which for a short time became second at Taniguchi’s expense. Elsewhere, yesterday’s winners Markus Pommer and Patric Niederhauser had a race to forget after their full 15s success penalty was compounded by a drive-through for an unsafe release during the pitstops. It was a similarly frustrating day for AMAC Motorsport’s Andrew Macpherson and Ben Porter whose Lamborghini was a frequent visitor to the garage before being spun into permanent retirement by the JWD-Unixx Racing Team Porsche. That gave KCMG’s Takuya Shirasaka and Naoto Takeda a clear run to the Am Cup victory. Book-ending GruppeM’s perfect weekend, Reinhold Renger made it back-to-back GT4 class victories this weekend after beating Ringo Chong and Gilles Vannelet’s Team iRace.Win Mercedes-AMG by 24s. BMW Team Studie’s Ken Urata and Max Chen completed the podium. Blancpain GT Series Asia’s 2018 campaign continues at Suzuka in Japan on June 30/July 1.